There aren't enough food, service, value or atmosphere ratings for Blenz on Bernard, Canada yet. Be one of the first to write a review! What a great little coffee shop! Perfect location on the main street, friendly and helpful staff. Wonderful atmosphere and a good selection of eat and treats. I’ll be back for sure! Stopped for a refuel while hubby was at a conference close by. Beautiful latte art and friendly efficient staff. Will be back! Grabbed a coconut latte to go on my way to a conference, and was delighted to see the coffee art on top. Tasted great too! I work near this coffee shop. It always has many choices and quite a few choices for food. Very nice. Coffee is very good, good selection of teas, snacks and pastries are average and not very exciting, but it is a nice shop, good location, good coffee is what I want in a coffee shop. Stopped in and grabbed a latte and an americano. Latte tasted burnt for some reason. Two mediums for about 7 bucks. I came, I tried, I will pass on it as I find too many local competitors better. We stopped by for a late morning coffee and muffin. The coffee and feed were good. The cafe is popular with UBC students. 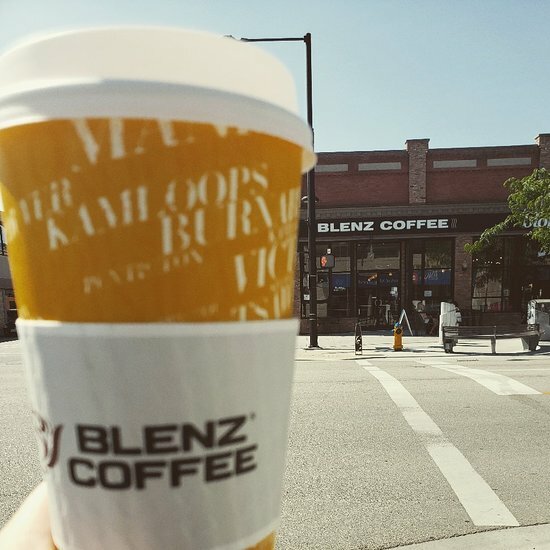 Get quick answers from Blenz on Bernard staff and past visitors.